This adventure came about after completing my career as a Mechanical CAD Drafter/Designer and Technical Illustrator. Having always enjoyed mechanical drawing and illustration, I wanted to expand my talents regarding imagery especially with the advent of the internet and digital imagery. 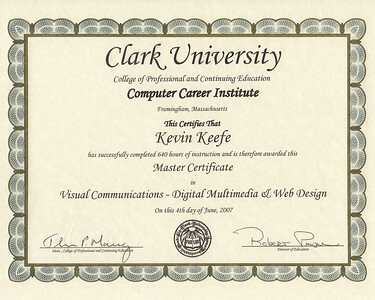 Continuing my education, I attended Clark University, achieving a Master’s Certification in Digital Multimedia and Web Design. Evening courses continue. My first opportunity came from a professional photographer friend who found for me, a part-time position with a local camera store. There I was able to apply recently acquired skills performing customer manipulations of digitized images, including the restoration of old, tarnished and faded photographs. What great fun! Unfortunately, after a several year gig there, that business closed. My next opportunity came from answering an ad for a full-time Internet Marketing position at a local luxury car dealer. There, I was responsible for photographing the dealer inventory of new and pre-owned luxury vehicles and created the individual vehicle portfolios for the pre-owned inventory. I was also responsible for ensuring that the vehicle information was correct and uploading the images and portfolios to the corporate website following strict guidelines for corporate consistency. A great job as I got to ‘test’ drive all of what I photographed and occasionally, delivering to other dealers or to customer homes and businesses, sometimes interstate. Crusin’ in style! Today, I continue to photograph luxury vehicles on my own for clients as well as manipulations and restorations. I have also been hired to photograph family and company events. I travel to client locations, do my photography and do any post-edits and uploads to client websites, using my own hardware and software – as Keefe Imagery. Also, I currently volunteer my services as the Videographer for a local non-profit organization where I create the video, complete with sound, of their monthly meetings and dedications. The equipment used there is Canon and is provided by a local television station. Some of this work also involves still photography, depending on the occasion. Great fun and another great experience. I have been hired as a Camera Operator to shoot the video for the 2018 Boys Eastern NPL Finals, ENPL Eastern Playoffs and U19 ENPL Finals. 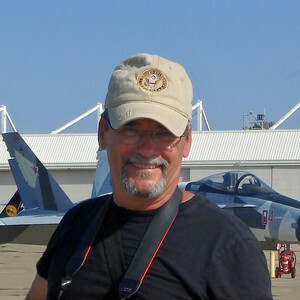 I use a variety of personal equipment, mostly Canon DSLR cameras with a variety of Sigma lenses, depending on the shoot. I also have a Nikon camera as my ‘go to’ for every day photography but in a pinch, I’ve gotten some great images from my iPhone as well. The editing software that I use is Adobe Photoshop. Having a tremendous amount of fun… still! 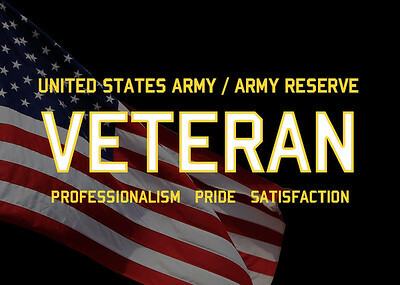 Prior to all that, I was an Active Duty soldier and during the MCAD years, I served as a Reservist. Always a Soldier. I hope that you have or will enjoy my website. This is the second website that I have owned, the first one being on-line for some 14 years and was quite extensive. As with my previous, this will be a continuing affair and I hope that you’ll stop by often to catch the latest updates. This is quite a step forward since the days of Microsoft’s FrontPage. Fun still! If you have an image that needs to be restored or manipulated in any way, please feel free to contact me and we can discuss the details. Most projects that I have done have been via email etc., and I can be fully trusted to scan your original prints, to properly handle your originals and return them safely to you. I can be available for photo shoots, being equipped for indoor as well as outdoor photography. All subjects are of interest! And of course, none of this would be possible without the support of my best friend… my wife. Please feel free to contact me using the email link found on every page of this site!